How to measure the default risk of debt of listed companies has always been a hot topic in risk management. 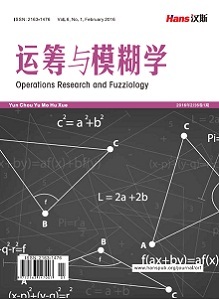 In this paper, KMV model is used to analyze relevant data of financial statements issued by listed companies in China, and the probability of their debt default is studied. The default probability of debt of listed companies based on KMV model is established, and the default probability of 41 listed companies in China’s securities market in 2012 is measured by the model. Meanwhile, 41 listed companies were divided into industries for similar analysis and inter-class analysis. The empirical results show that when the company’s asset-liability ratio is higher than 80%, regardless of its net asset liability ratio, it has a high credit risk, while when the company’s asset-liability ratio is lower than 50%, as long as there is no negative return on equity, the company is less likely to default. 都红雯, 杨威. 我国对KMV模型实证研究中存在的若干问题及对策思考[J]. 国际金融研究, 2004(11): 22-27. 程鹏, 吴冲锋. 上市公司信用状况分析新方法[J]. 系统工程理论方法应用, 2002(2): 89-93. 郑茂. 基于EDF模型的上市公司信用风险实证研究[J]. 管理工程学报, 2005(3): 151-154. 梁世栋, 李勇, 方兆本. 信用风险模型比较分析[J]. 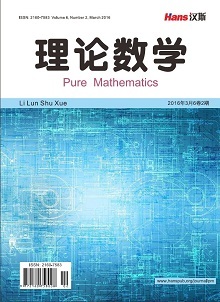 中国管理科学, 2002(2): 35-43. 程鹏, 吴冲锋, 李为冰. 信用风险度量和管理方法研究[J]. 管理工程学报, 2002(1): 77-73. Chang, C. (2012) Default Probability of a Captive Credit Bank with Government Capital Injections: A Capped Barrier Option Approach. Economic Modelling, 29, 2444-2450. Perko, I. (2017) Behaviour-Based Short-Term Invoice Probability of Default Evaluation. European Journal of Operational Research, 257, 1045-1054. Denzler, S.M., et al. (2006) From Default Probabilities to Credit Spreads: Credit Risk Models Do Explain Market Prices. Finance Research Letters, 3, 79-95. Hainaut, D. and Deelstra, G. (2014) Default Probabilities of a Holding Company, with Complete and Partial Information. 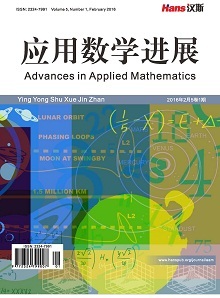 Journal of Computational and Applied Mathematics, 271, 380-400. Melgarejo, M. (2018) Beating Market Expectations and the Pricing of Firms’ Probability of Default. Journal of Contemporary Accounting & Economics, 14, 41-51. Tabak, B.M., Luduvice, A.V.D. and Cajueiro, D.O. (2011) Mod-eling Default Probabilities: The Case of Brazil. Journal of International Financial Markets, Institutions and Money, 21, 513-534. Cantia, C. and Tunaru, R. (2017) A Factor Model for Joint Default Probabilities. Pricing of CDS, Index Swaps and index Tranches. Insurance: Mathematics and Economics, 72, 21-35. Hao, X., Li, X. and Shimizu, Y. (2013) Finite-Time Survival Probability and Credit Default Swaps Pricing under Geometric Lévy Markets. Insurance: Mathematics and Economics, 53, 14-23. Câmara, A., Popova, I. and Simkins, B. (2012) A Com-parative Study of the Probability of Default for Global Financial Firms. Journal of Banking & Finance, 36, 717-732. Trussel, J. (1997) Default Probability on Corporate Bonds: A Contingent Claims Model. Review of Financial Economics, 6, 199-209. Grammenos, C.T., Nomikos, N.K. and Papapostolou, N.C. (2008) Estimating the Probability of Default for Shipping High Yield bond Issues. Transportation Research Part E: Logistics and Transportation Review, 44, 1123-1138. 梁琪. 我国商业银行信贷风险管理体系构建探索[J]. 南开经济研究, 2002(6): 14-16.